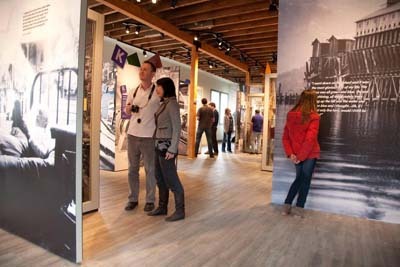 Heights and Sights – This two day attractions package includes Capilano Suspension Bridge, The Vancouver Lookout, Westcoast Sightseeing Hop on and Hop Off Tour, the Sea to Sky Gondola and Britannia Mine Museum. Vancouver’s natural surroundings, mountains, sea and seemingly endless greenspace and forests can best be experienced with this collection of Vancouver Attractions, book all 5 and save 35% on all tickets, or as much as $65 per adult. 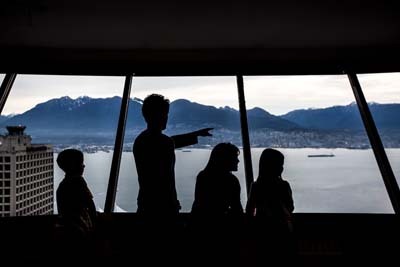 Start downtown, with a visit to the Vancouver Lookout, the 360 degree observation deck will help you orient yourself for your Vancouver visit, take a cup of coffee and a breakfast treat you will want to linger while you watch the seaplanes land and take off from the world’s busiest airport and learn about Vancouver from the helpful guides. Save your ticket, it is valid all day, so a trip back up to enjoy the sunset or the city lights should be included in your day. 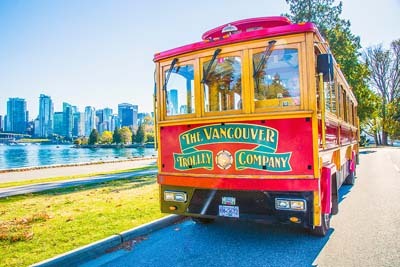 When you’re ready, head outside and pick up the Hop On Hop Off tour from West Coast Sightseeing, stay on the tour for the whole loop, to see the highlights of the City or hop off along the way when something takes your fancy, Granville Island is great for lunch! 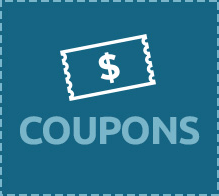 Book these two save 20% on both. Add a visit to Capilano Suspension Bridge, in the afternoon, grab their complimentary shuttle from Canada Place, your Hop on Hop off tour makes a stop there, to experience an iconic attraction. 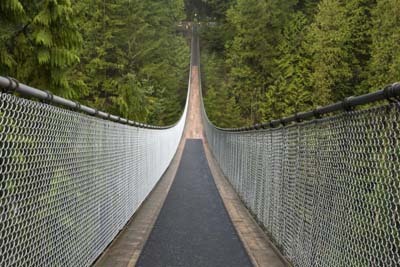 This spectacular attraction offers hours of fun for all ages, the Bridge alone is worth your time but there’s also the Treetops Adventure, a series of suspended walk ways right in the vertical middle of a grove of 250-year-old Douglas Firs, some of the walkways are as high as 110 feet above the forest floor. Ask the guides about the tree friendly technology that expands with the trees and is movable as the trees grow. Head back across The Bridge, to Cliffwalk, one more gravity defying engineering marvel hanging from the side of the Canyon walls! Treats and fantastic shopping are available too. On day two, you will need a car, but you will be glad you battled the down town traffic as you head over the Lions Gate Bridge and head west towards Horseshoe Bay. The City and ocean views of English Bay and the Salish Sea combined with the truly spectacular Sea to Sky Highway, one of the world’s most scenic drives, make it all worthwhile. Be ready to take in your first view of Howe Sound as you crest Eagle Bluff and head north onto Highway 99, it will take your breath away! And now for the attractions, your first stop is Britannia Mine Museum, this jewel of an attraction, offers hands on experiences and historic insights into BC’s mining industry, our third biggest industry, but the stories of the Britannia Mine, which was once the largest Copper Mine in the Commonwealth, and its community are what sets this National Historic Site apart from other experiences, the underground train into some of the decommissioned mining tunnels, make it pretty special too. 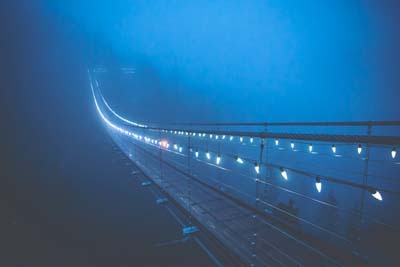 A little further up the highway is the Sea to Sky Gondola, opened in 2014, this thrilling experience will take you to the 885 meter plateau and offers spectacular views of Howe Sound and the Coastal Mountain range. There are easy to navigate trails within the attraction, or for the properly prepared, it is a great starting place for some more adventurous hiking. Be sure to plan your visit to experience a naturalist tour, these are offered 3 times per day in the summer, many guides are from the Squamish Nation and provide interesting insight into the First Nations Culture of the area.